DIY WORKSHOP #3 – Container Gardening! 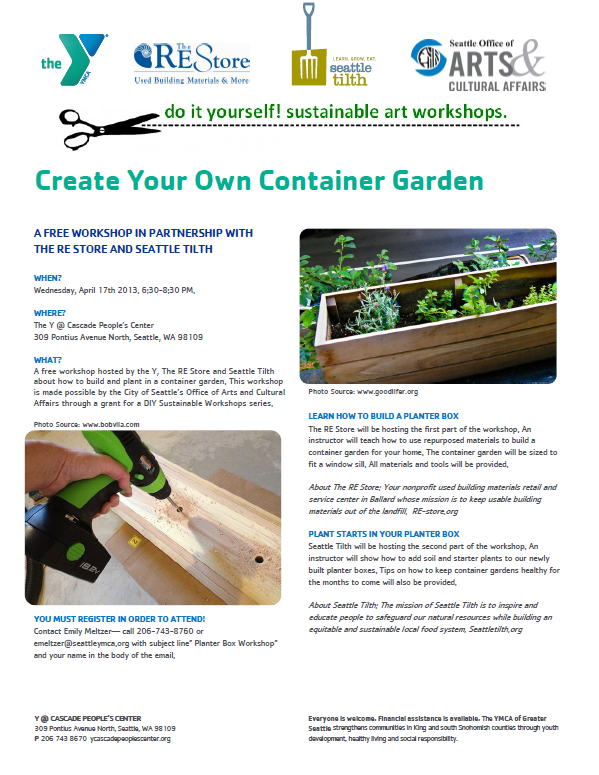 Part of our DIY: Sustainable Art Workshops series, we are proud to announce that on April 17th, we will be hosting a FREE container gardening workshop with Seattle Tilth and The RE Store! Register early!